What is MSM exactly? MSM is essentially a naturally occurring solvent and is the biologically active form of the element sulfur. Sulfur is a substance found in the atmosphere, soil, ocean, foods and plants as well as in most all living organisms. 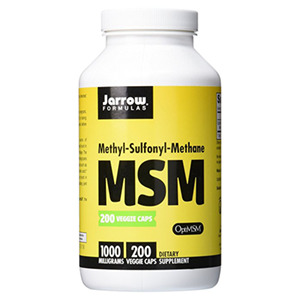 MSM stands for methylsulfonylmethane and is a powder closely related to the liquid solvent DMSO, a widely recognized topical analgesic. 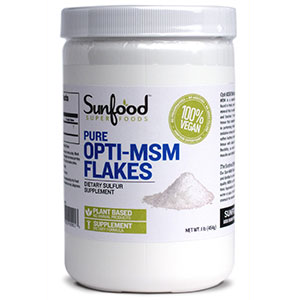 As a dietary mineral element, it is available as a white crystalline powder and is one of the best ways to deliver sulfur in supplement form. 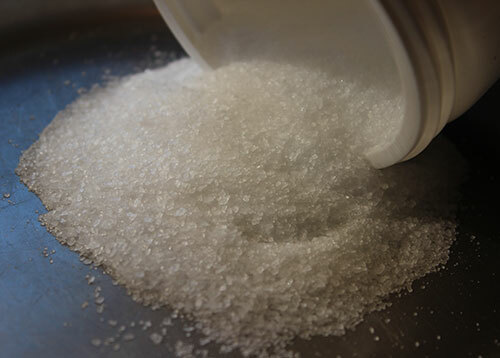 MSM is odorless, somewhat bitter tasting and usually consumed in water first thing in the morning or between meals. What is MSM good for? MSM crystals are one of the great plaque and calcification dissolvers, flushing away those substances that tend to collect in different joints and muscle tissue, causing stiffness and discomfort. 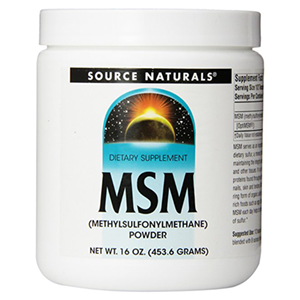 MSM is one of the most powerful anti-inflammatory super supplements in existence and is extremely detoxifying to the body, additionally assisting in the removal of potential toxins and heavy metal deposits. It is made up of about 34% sulfur by weight and has been used successfully to treat a number of conditions such as headaches, fibromyalgia, arthritis, high blood pressure, allergies, joint injuries and carpal tunnel syndrome. Daily periodic intake of MSM encourages greater flexibility in the joints and helps to strengthen and restore tendons, ligaments, connective tissue and collagen levels. It is specifically used to alleviate pain and inflammation in the musculoskeletal systems with other unique properties that are also known among holistic body builders and professional athletes for treating sports injuries and improving workout recovery time. Consumed therapeutically as a preventative for many conditions that occur as we age, MSM can be a natural supplemental adjunct for aches, pains and muscle soreness. Why Do We Need Sulfur? MSM is the sulfur component present in a variety of foods that we eat, like raw cruciferous vegetables, eggs, coconut oil, olive oil, garlic, onions, green juices, nuts, raw milk and pasture-fed meats. 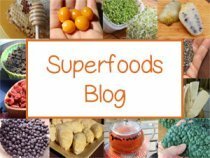 It is also present in some superfood sources like spirulina, moringa, noni, marine phytoplankton, pine pollen and is highly concentrated in the leaves of the aloe vera plant. Sulfur is necessary for the proper formation of proteins and is involved in the production of amino acids, connective tissue, enzymes and hormones. The MSM-based sulfur in foods is destroyed when pasteurized or heated at high temperatures and is also volatile when frozen or irradiated. In addition, most post-industrialized societies, because of modern day commercial food production and unsustainable farming practices that deplete soil-based sulfur, receive inadequate amounts of sulfur from the average diet. 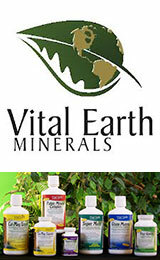 Sulfur is a very important ingredient for health and is present in virtually every human cell. Low levels in the body have been linked to reduced amounts of the antioxidant glutathione, irregular metabolism and insulin function, in addition to obesity and weakness in the joints. The bio-available sulfur provided by MSM produces generous quantities of keratin and collagen, both of which are essential for healthy nails, hair and skin. 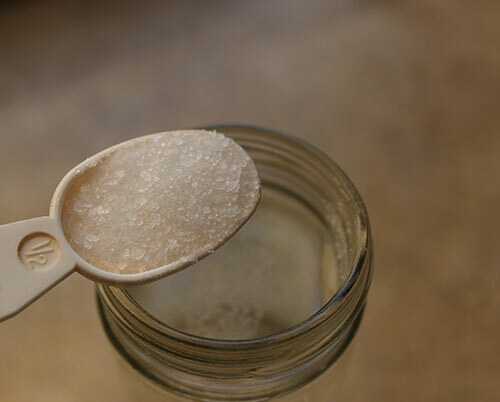 DMSO, MSM's liquid counterpart, has been used as a pharmaceutical agent since the early 1960's, but it wasn't until 1982 that the nutritional benefits of MSM were made available in supplemental form by biochemist Robert Herschler. MSM largely entered the health scene through the dedicated research of Dr. Stanley Jacob who, for over 30 years, used MSM in his medical practice with outstanding results that were documented in his book entitled, "The Miracle of MSM, The Natural Solution for Pain." Dr. Jacob's viewed MSM supplementation not as a "cure all" but as a preventative food-based complement to achieving overall wellness. What is MSM and Where Does It Come From? MSM naturally exists in the environment from a process called the "sulfur cycle" which begins primarily from the evaporation of ocean waters, the weathering of volcanic sediment or the breakdown of plant matter. The process primarily begins with the release of sulfur into the atmosphere from various sources such as seawater and volcanic eruptions. Sulfur is then converted into an organically-bound form and broken down into DMS (dimethylsulfide). DMS converts into a gaseous state and is oxidized into DMSO (dimethyl sulfoxide). It is then further transformed into MSM which concentrates in atmospheric water vapor. MSM then falls to the earth as rain and is collected and concentrated back into the water, plants and the soil. What is MSM Made of? 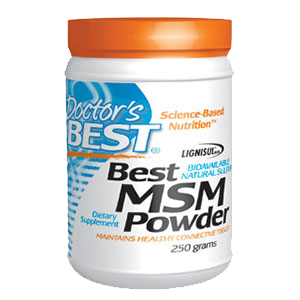 MSM and DMSO basically have the same benefits to health as they are almost identical compounds. The main differences between MSM and DMSO is that DMSO remains a liquid while MSM is a less reactive white crystalline solid. 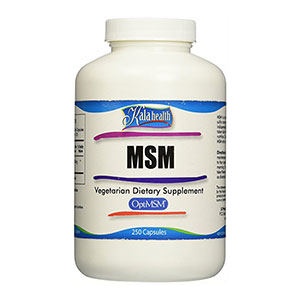 Dietary MSM powder is equivalent to that found in natural environments and is likewise oxidized as a metabolite from DMSO. DMSO is widely used in veterinary medicine as a therapeutic treatment for thoroughbred race horses to heal injuries, reduce swelling and improve muscle recovery time. Currently, DMSO is only FDA approved for veterinary use only and not specifically intended for human application. MSM, on the other hand is legally sold as a dietary supplement. What is MSM Good For? 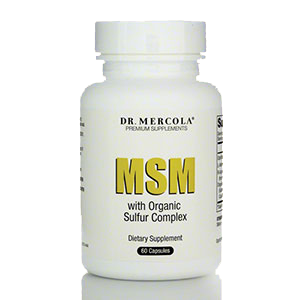 MSM contains biologically active sulfur which possesses incredible preventative and therapeutic properties. It can be consumed as an adjunct to a healthy balanced diet and regular exercise program to help your body get the adequate amount of sulfur it requires. Sulfur, after calcium and phosphorus, is the most abundant mineral in the human body and we need to ingest proper amounts through dietary sources on a regular basis. Sulfur requirements natural increase as we age and can become an important element in lessening age related conditions like weakness, inflammation and pain in the joints and muscles. In addition, sulfur plays a vital role in detoxification, inflammatory regulation and is a key factor in the production and effectiveness of the super antioxidant called glutathione (GSH). 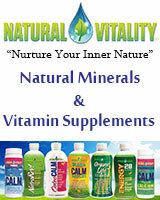 Glutathione is present in our cells but continually declines as we grow older. 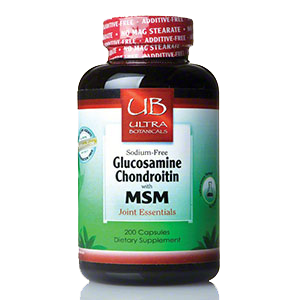 An MSM supplement can help to produce more GSH because it contains the amino acids methionine and cysteine, which are necessary for increasing glutathione levels. Some studies indicate that decreased glutathione quantities have been linked to a number of degenerative diseases, including Alzheimer’s and Parkinson’s. Although it is not considered an antioxidant per se, MSM indirectly helps protect against oxidative damage and is quite well known for its ability to increase the potency of other antioxidants such as vitamin E , C and many other nutrients. 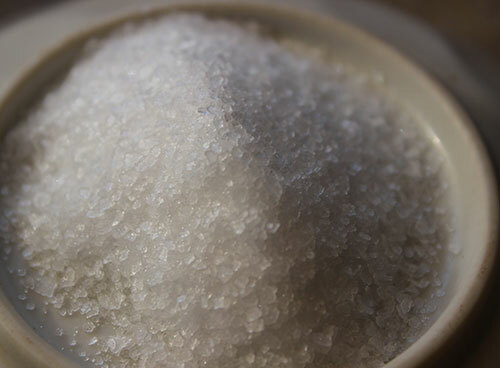 MSM is approximately 34% sulfur by weight and additionally functions as a sulfur metabolism modifier, promoting its rapid uptake and synthesis. Methylsulfonylmethane is one of the most popular nutritional supplements used for the health and maintenance of the joints, bones, tendons and connective tissue. 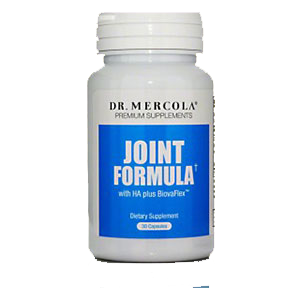 It is commonly used with other sulfur containing compounds such as chondroitin and glucosamine to treat joint pain and conditions like arthritis, rheumatoid arthritis and osteoarthritis. In a 2004 study it was determined that "Glucosamine, MSM and their combination produced an analgesic and anti-inflammatory effect in osteoarthritis. Combination therapy showed better efficacy in reducing pain and swelling and in improving the functional ability of joints than the individual agents." 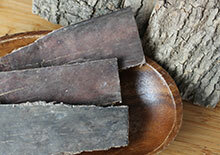 Eucommia bark is another top superfood for the bones, joints, ligaments and tendons and can be used as a dietary adjunct along with MSM supplementation for increasing flexibility and maintaining a healthy skeletal structure. 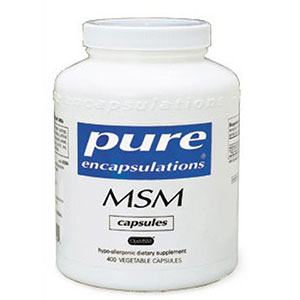 Being a calcium phosphate dissolver, MSM helps to break up calcium deposits that tend to collect in various pockets of the body making them vulnerable to stiffness and chronic inflammation. MSM is also believed to be beneficial for eliminating calcified plaque build-up that occurs in the arteries, the leading cause of arteriosclerosis and heart disease. According to health authority David Wolfe, "MSM helps dissolve these calcified deposits, turning them into calcium sulfate and making them soluble so your body can excrete them. The dosage of MSM has to be, in the beginning, maybe 2,500 mg per day. But really, you need to get up to 5,000 mg or 7,500 mg, and allow it to work over a period of months." Interestingly, MSM is also a commonly used supplement for decalcifying the pineal gland and furthermore may be helpful for dissolving old scar tissue and various types of fibroid growths. 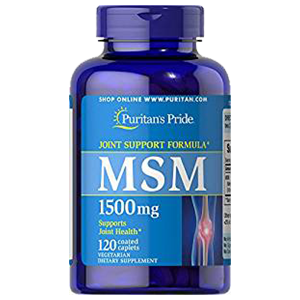 MSM is an all popular nutritional protocol used among professional athletes and body builders for maintaining healthy strong bones, joints and muscles. As sports enthusiasts tend to put more stress on their joints than the everyday person, MSM can be a particularly helpful addition to the diet for reducing the high impact stress that physically demanding activities and weight lifting routines have on the cartilage and connective tissues. It also additionally helps to increase flexibility and prevent injury, swelling of the knees, ankles and neck as well as the tearing of the muscle fibers. As we mentioned, it is an excellent dietary medicinal when injuries do occur, helping to relieve inflammation and related aches and pains. MSM is also known to promote speedy recovery from excessive workout regimens. 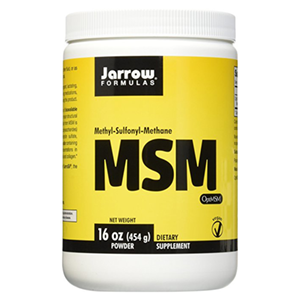 As a natural source of sulfur, MSM acts as a precursor for the utilization of amino acids, the building blocks of protein and muscle development. 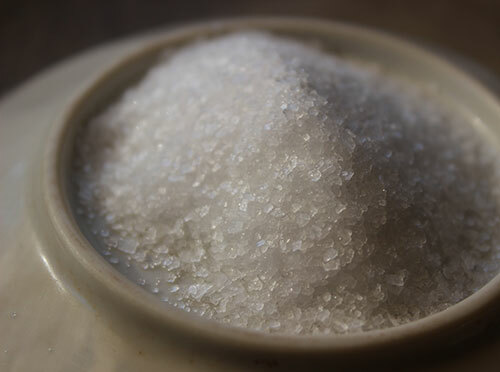 Additionally, MSM-based sulfur contains the two important amino acids methionine and cysteine. Methionine is an essential amino acid that must be ingested through dietary sources and is helpful for protein absorption as well as increasing muscular endurance. Cysteine is created by the body but needs the sulfur element for it to be properly synthesized. 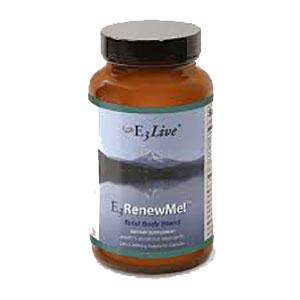 It helps improve metabolism and immune functions. One of MSM's most powerful contributions to health and wellness is its ability to reduce inflammation and the related aches and pains that result. 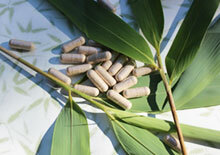 It is prescribed by many holistic physicians as a natural pain killer for many types of pain and degrees of discomfort. Two leading authorities who have successfully used MSM to treat pain in the body for over a decade are Dr. Stanley Jacob, head of the DMSO Pain Clinic in Portland, OR and Dr. Ronald Lawrence, founder of the International Association for the Study of Pain and the American Association for the Study of Headaches. In their co-authored book, "The Miracle of MSM: The Natural Solution for Pain" they discuss countless success stories of using the powdered supplement to reduce chronic pain in treated patients as well as completely eliminate it in many cases. This includes varieties of pain caused from personal injury, fibromyalgia, arthritis, back pain, muscle soreness, headaches, carpal tunnel, sclerosis, whiplash, tennis elbow and joint degeneration. Together with its effect as an anti-inflammatory agent, MSM's pain diminishing analgesic actions are thought to be brought about by its impact on lessening nerve impulses that transmit pain, blocking their transfer through nerve C-fibers. It's regulatory effects on inflammation are also a result of its ability to enhance cell membrane permeability, improve the uptake of nutrients and eliminate toxic waste products. Inflammation as well as beta-amyloid plaque formation in the brain are known factors in neurodegenerative conditions like Alzheimer's. Moreover, toxic substances tend to accumulate in brain tissue. MSM is one of those special compounds that is able to pass the blood-brain barrier, which assists in flushing out toxins and plaque build-up. As we discussed, MSM's role in increasing the production of the antioxidant glutathione also adds to its benefits for those with degenerative conditions. 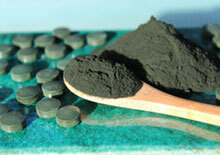 MSM supplements have shown to be effective in relieving inflammation that results from autoimmune responses. 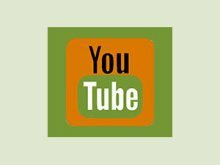 What is MSM used for in shampoos, conditioners and lotions? 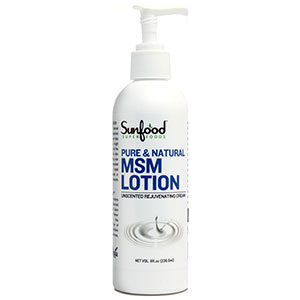 MSM is known for providing softer skin, thicker hair and stronger, fast growing nails. It is used both internally as well as topically and is a common ingredient in many natural hair treatments, analgesic lotions and anti-wrinkle skin creams. Sulfur, being nature's "beauty mineral" is necessary for the generation of the beauty enhancing constituents keratin and collagen. Keratin is made up of the sulfur-containing amino acid cysteine and is further nourished by dietary intake. Our hair contains about 14% cysteine which is the reason why it smells like sulfur when burned. Collagen formation is the main structural protein of connective tissue and is responsible, along with keratin, for skin strength and elasticity. Sulfur-based MSM supplementation can be beneficial in providing the more rare essential amino acid methionine as well as cysteine, both of which support healthy collagen structure and help to normalize the cross-linking process. 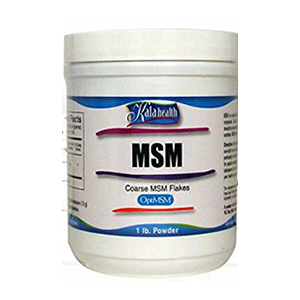 MSM powder can be consumed and applied directly on the skin as a lotion to alleviate skin conditions such as psoriasis, eczema, dermatitis, acne and dandruff. What is MSM and Is It Natural? There has been some controversy in the health food industry about the question of whether methylsulfonylmethane is a "natural" or "synthetic" product. However, all commercial MSM of high purity is chemically identical to that found in nature. MSM supplements are formed by catalytic reaction of hydrogen peroxide with DMSO. All DMSO is formed by the interaction of nitrogentetroxide and oxygen with DMS. The oxygen atoms for these reactions come from the atmosphere, the same source used in nature. The best quality MSM products are processed from natural gas using the distillation method and results in a very pure product. 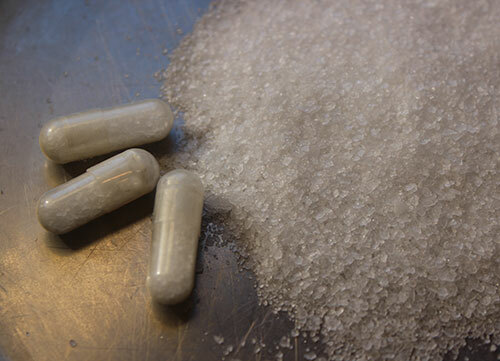 While distilled MSM crystals are somewhat superior they can be slightly more expensive. 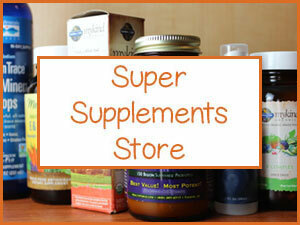 Generally speaking, however, MSM is a fairly low-priced supplement option for the health benefits it offers. There are several companies who use plant-derived wood pulp to make MSM, but this process is becoming more rare and is considerably more expensive, though preferred by some health authorities. 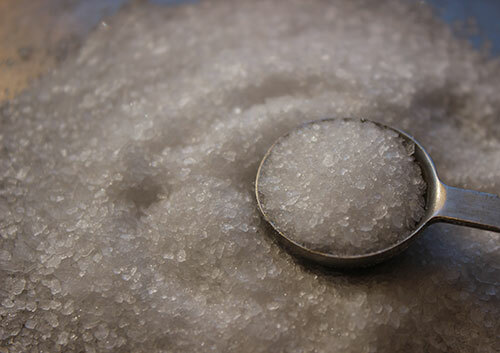 MSM can also be made from another processing technique referred to as crystallization, which requires the use of potentially impure solvents that may leave undesirable toxic by-products. "If MSM is not manufactured properly, or is produced in a facility that makes multiple products with improper sanitation procedures, contamination is likely. 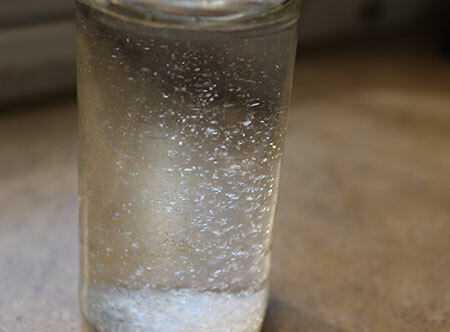 There may also be a chance that impurities (such as heavy metals or chlorinated hydrocarbons) from the water used in the synthesis and crystallization process will remain in the final product. We personally only use MSM supplements that have been tested and there are many reputable brands that now do this to ensure optimal quality. These standards are developed by AOAC International, an independent, NIH-sponsored, FDA-endorsed international community of analytical chemists. 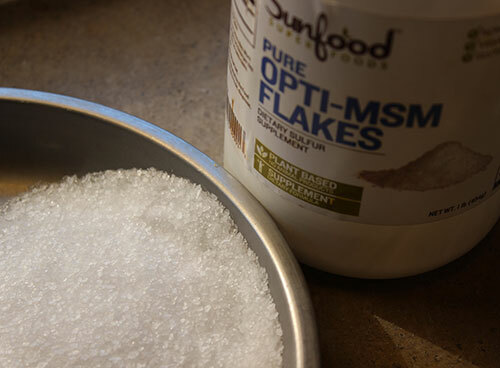 Another factor to consider when purchasing an MSM supplement is to make sure your supplier does not include anti-caking additives or additional fillers that may interfere with absorption. According to Stanley Jacob, you ideally want to take the minimum amount of MSM that provides the benefit you desire. "More MSM is not necessarily better." Each person is unique and individual situations should be evaluated according to tolerances and state of overall health, etc. Thus, some people need more and some need less to ensure the same results. 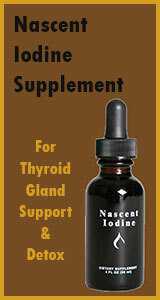 Generally, somewhere between 2 to 8 grams per day which is the equivalent of 2,000 to 8,000 milligrams. In most cases, if you experience minor stomach upset you are taking too much and should cut back on the dosage amount. It is highly advisable to also take a natural form of vitamin C when taking MSM orally. 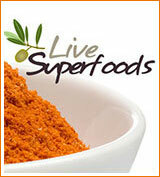 This could be in the form of camu camu or acerola cherry. 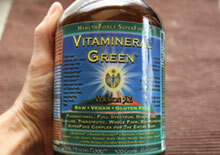 HealthForce Nutritionals has an excellent all natural Vit C powder we recommend. It is important to start out slow and build up to higher amounts. MSM takes some getting use to, we don't particularly care for the bitter taste, so we tend to try to get it down as quickly as possible. It can be mixed in a glass of water with other superfoods and supplements that dissolve easily in liquid or it can be taken in capsule form. It is excellent for the skin and hair when used internally or externally. 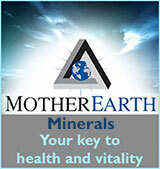 MSM makes the tissues more permeable, so that they move nutrients in and toxins out with greater ease. For pain and inflammation, it is good to use MSM both internally as well as topically applied to the skin for maximum benefits or use in bath soaks. There are many MSM gels and lotions available, but you should try to get pure and concentrated formulas for best results. 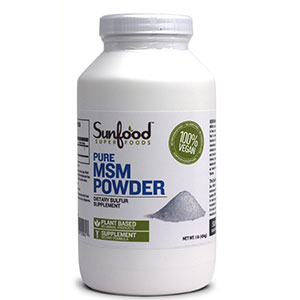 What is MSM Powder Dosage Amount? 6 - 8 grams a day is helpful for reducing extreme pain or swelling (1 gram is a little under ½ teaspoon). 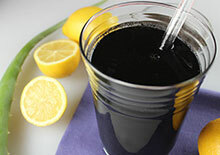 Try it for one straight week to flush and detox. At initial onset of MSM consumption, some people may experience slight detox reactions and symptoms including mild skin rashes, headaches, general fatigue or loose stools. 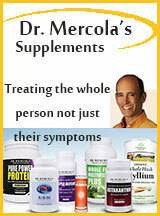 These symptoms can, however, be alleviated by cutting back on dosage amount. Avoid MSM if you are allergic to sulfa drugs and also consult your health care provider when taking prescription medications.